Updated ! Instructions for thermo heating mats! Let’s talk about thermo mats! 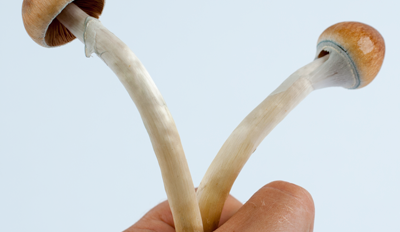 If you’re cultivating magic mushrooms then you’ve probably used one or considered using one. Heating mats can be very useful to maintain your mushroom kit on the right temperature, and it will increase your harvest. If they're used right! Every day we see a lot of examples of people using it the right way and the wrong way too. This article is meant to help out our fellow magic mushroom cultivators with some up to date tips on thermo heating mats. Updated instructions below! Cannabidiol (CBD) has gained popularity in the medical marijuana industry because it has demonstrated positive medicinal benefits without the psychoactive effects normally associated with marijuana. CBD can be beneficial for a variety of different medical conditions. But how to use these supplements? Well, there is a considerable variety of options. In this Magic Mushroom Shop user guide we will share 5 easy ways for CBD consumption. CBD Oil: 5 compelling benefits! Cannabidiol (CBD) is one of the 100+ cannabinoids found in cannabis and has been the subject of much research due to its many and varied medical applications. It has therapeutic attributes and the compound is non-psychoactive. CBD is gaining a lot of attention because it’s helping people around the world. Magic Mushroom Shop recently added CBD oil, supplements and crystals to the store and in our excitement we made an overview; 5 compelling benefits for CBD oil. Deciding to dive in the world of psychedelics can be very adventurous and versatile. Some Magic Mushroom Shop customers are looking for a fun night and others are looking for a more intense and introverted experience. When experimenting with psilocybe cubensis mushrooms, aka magic mushrooms, it might be good to ask your self: "What kind of experience am I looking for?" Introducing: The 5 magic mushrooms trip levels you should know about, a guide that will lead you to the right trip. How to pick magic mushrooms from your grow kit? As you're reading this, you are probably well on your way to harvesting your (first) flush. We can imagine the excitement for beginning cultivators, because we've all been there :). But wait! There's one final question that's burning in your mind: "how do I pick my magic mushroom from my grow kit?". No worries! The Magic Mushroom Shop Blog is here with instructions on how to pick magic mushrooms.